It was only last week that I questioned whether Netflix had a large enough online video library to justify offering a streaming-only subscription plan, but with today’s news that the service has bagged itself a boat load of “South Park” content, they’re certainly putting their money where their mouth is. The New York Times reports that Netflix beat competitors Hulu and Joost to a deal by offering a guaranteed cash payment rather than a share of future advertising revenue, the latter being a far less enticing proposition during this ad-shy economic downturn. 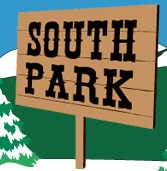 Revenue generated from Netflix, who have licensed the first nine seasons of South Park, will be shared 50/50 with the show’s production partner Comedy Central.